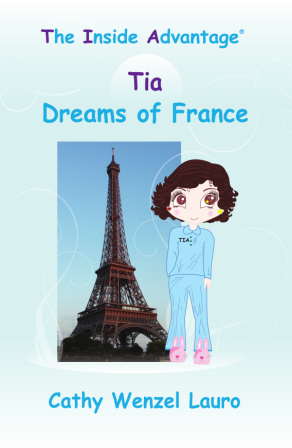 Check out Tia’s new website TouchaHeartwithTIA where you can download each of Tia’s eBooks for only $.99 — Join Tia on her exciting and educational journey through France and even learn a little French along the way. Share with young loved ones. You can also visit CWLauro.com to read my blog and see more of Tia’s pictures in France. Tia reminds me to allow myself to be childlike and carefree—that’s a way to treat myself with loving kindness and to honor the inner child as the miracle she is and always has been. Isn’t that what your inner child deserves, too? This entry was posted in Touch a Heart with TIA and tagged Cathy W. Lauro, The Inside Advantage. Bookmark the permalink.